This variety originated in France where it is responsible for the famous white wines of Sancerre and Pouilly-Fumé. It is an important blending variety in white Bordeaux. It did not appear in New Zealand until the 1970s, initially in Auckland and later with spectacular success in Marlborough. It is the country's most widely planted variety, and has established itself as New Zealand's flagship wine the world over. 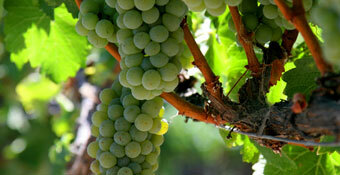 Three-quarters of all Sauvignon Blanc is planted in Marlborough, followed by Hawkes Bay and Gisborne. Varietal characteristics: From light straw to light golden; herbaceous, gooseberry, capsicum, lemon, passionfruit, tropical fruits.